We handle twice as much with two facilities! 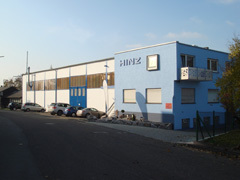 Steady expansion of HINZ machine parts. To make sure we’re always on the ball, we steadily adapt to the current reality of the market. This led to the construction of a second facility which has since been expanded according to requirements. HINZ machine parts never shy away from investment when it comes to reacting to and staying on the market. Please use the feedback form. We'll get back to you shortly.